We have information you must know before you buy the Jetta. See used Volkswagen Jetta listings in your area. 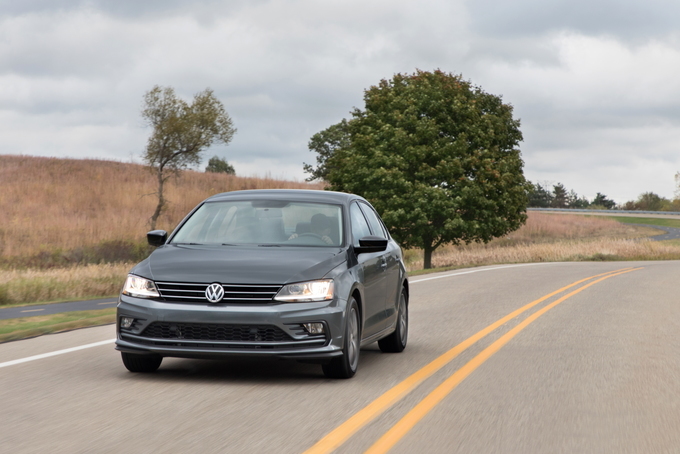 Due to be replaced with a new model this year, the 2018 Volkswagen Jetta remains a practical offering in the compact sedan class. 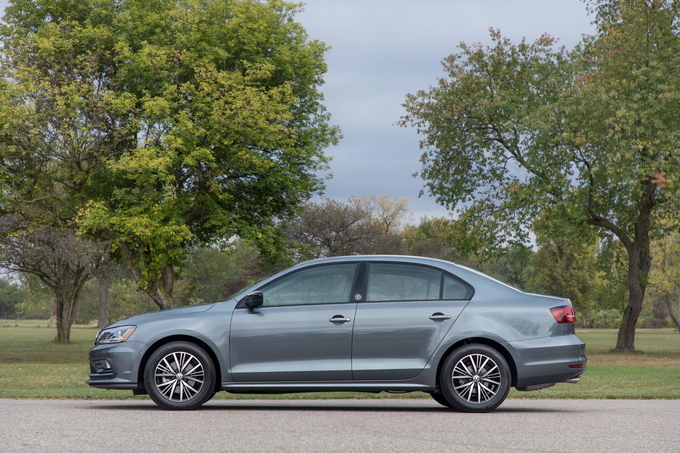 While it offers a pleasant ride, strong turbo engine choices, and a generous warranty, the Jetta's expensive upper trim levels, conservative looks, and lack of available safety technology on lower grades hold it back. Prices for the 2018 Jetta start at $19,495 for a manually-equipped, 1.4-liter turbocharged, four-cylinder base S model and top out at $30,395 for an automatic-equipped, 2.0-liter turbocharged, four-cylinder GLI. Between those two are four additional trim levels for 2018 – Wolfsburg, SE, SE Sport, and SEL. The 1.4-liter turbo is also fitted to the Wolfsburg and SE, while the SE Sport and SEL receive a third engine – a 1.8-liter turbocharged four-cylinder. All seven models feature the usual power features plus heated outside mirrors, Bluetooth connectivity, a rearview camera, and a generous six-year/72,000-mile basic and powertrain warranties. Blind-spot monitoring with rear cross-traffic alert is standard on SE and above trims, while adaptive cruise control, forward collision warning, and automatic emergency braking systems are standard and only available on the SEL model. We'd skip both the base S and the Wolfsburg and head straight to the SE trim that, in addition to the blind-spot monitor, adds a power sunroof, a leather-wrapped steering wheel, leatherette seats (heated in front), keyless push-button start, and a larger 6.3-inch touchscreen with satellite radio. We'd also opt for the five-speed manual but, being realistic, most buyers will choose the six-speed automatic. 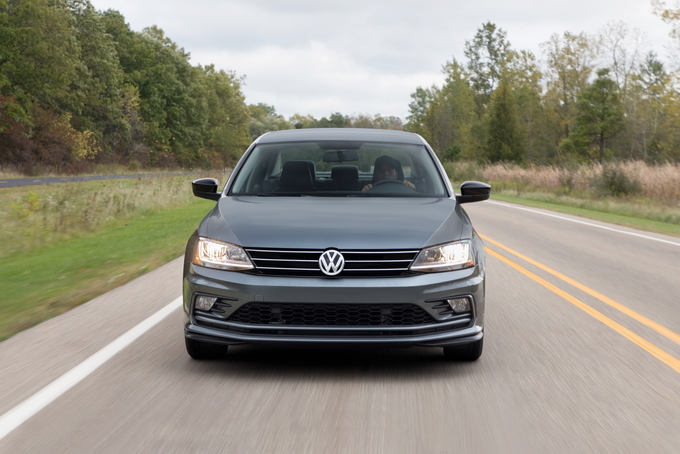 The Jetta delivers a composed, well-controlled ride with steering that's precise and nicely weighted. The standard 1.4-liter turbocharged four-cylinder delivers excellent fuel economy and strong acceleration with maximum torque available at a very usable 1,400 rpm. For a sportier driving experience, the Jetta GLI offers crisp and polished handling, aided by a more powerful engine, sticky tires, and a quick-shifting dual-clutch gearbox. Even with their larger wheels and tires, neither the SE Sport nor SEL can be called sport sedans. The six-speed automatic can feel clunky at low speeds, and the 20 horsepower boost of the 2.0-liter over the 1.4-liter engine isn't enough to justify the four mpg hit the EPA says you'll likely see. The slick-handling GLI isn't available with a manual transmission. The Jetta's restrained sheetmetal is wrapped around an equally inoffensive interior that delivers on space in spades – especially in back with its close-to-mid-size 38 inches of leg room and 37.2 inches of head room. 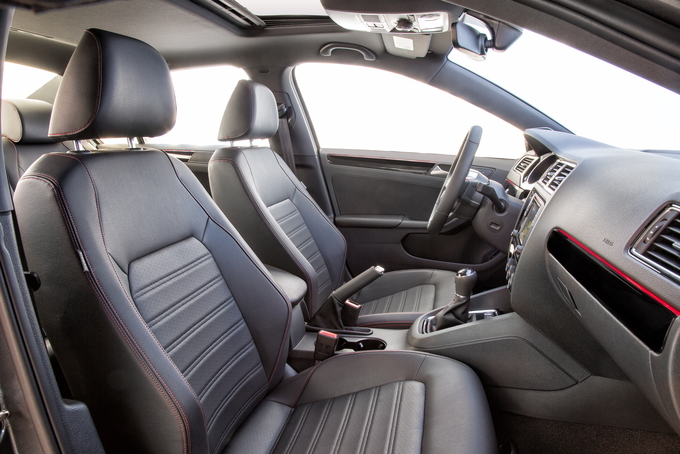 The leatherette found in most models looks good and should wear better than the real thing, while all models get seats with adjustable lumbar that – in all but the S trim – are heated in front. On the flip side, a leather-trimmed interior isn't offered, numerous switch blanks surround the gear lever, and, while the fit is very good, the mish-mash of hard plastic trim pieces looks cheap – which might be tolerable on the base model, but totally unacceptable on the $30,000 GLI. The 2018 Jetta's clean design, ride comfort, and strong acceleration continue to make it competitive in its class, but a cheap-looking interior and lack of advanced safety features across the lineup could prove to be a turn-off for many buyers. The Jetta's smooth ride, interior space, and excellent fuel economy should prove to be attractive to eco-friendly buyers. At the same time, a dearth of safety features – only a rearview camera is standard across the lineup – mean safety-focused drivers need not apply. Despite a smooth ride, excellent fuel economy, and a generous warranty, the Jetta's cheap-looking interior and lack of advanced safety features across the lineup only place it mid-pack in the compact sedan class. We have partnered with trusted dealers in your area to give you a great price on the new Volkswagen Jetta.